b. 1 May 1769,1 5th but 3rd surv. s. of Garret Wesley, 1st Earl of Mornington [I], by Hon. Anne Hill, da. of Arthur, 1st Visct. Dungannon [I]; bro. of Hon. 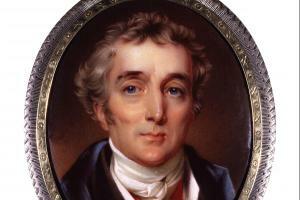 Henry Wellesley*, Hon. Richard Colley Wellesley, 2nd Earl of Mornington [I] and William Wellesley Pole*. Took name of Wellesley in lieu of Wesley, May 1798. educ. Trim diocesan sch. ; Brown’s prep. sch. Chelsea; Eton 1781-4; privately at Brussels 1784-5; Angers mil. acad. 1785-6. m. 10 Apr. 1806, Hon. Catherine Sarah Dorothea Pakenham, da. of Edward Michael, 2nd Baron Longford [I], 2s. KB 28 Aug. 1804; cr. Visct. Wellington 4 Sept. 1809; Earl of Wellington 28 Feb. 1812; Mq. of Wellington 3 Oct. 1812; Duke of Wellington 11 May 1814; KG 4 Mar. 1813; GCB 2 Jan. 1815; GCH 22 Mar. 1816. Ensign, 73 Ft. 1787; lt. 76 Ft. 1787, 41 Ft. 1788, 12 Drag. 1789; capt. 58 Ft. 1791, 18 Drag. 1792; a.d.c. to ld.-lt. [I] Nov. 1787-Mar. 1793; maj. 33 Ft. 1793, lt-col. 1793-1806; brevet col. 1796, maj.-gen. 1802; col. 33 Ft. 1806-12; lt.-gen. 1808; c.-in-c. Peninsula June-Aug. 1808, c.-in-c. Portugal Apr. 1809; gen. 1811; f. m. 1813; col. R. Horse Gds. 1813-27, Gren. Gds. 1827-d.; c.-in-c. Continent Mar. 1815, Oct. 1815-Nov. 1818; col. rifle brigade 1820-d.; c.-in-c. army Jan.-May 1827, Aug. 1827-Jan. 1828, Aug. 1842-d.
MP [I] 1790-7; gov. Seringapatam May 1799, c.-in-c. Mysore July 1799-Feb. 1803, chief agent, S. Mahrattas and Deccan June 1803-Feb. 1805; chief. sec. to ld. lt. [I] Apr 1807-Apr. 1809; PC 8 Apr. 1807; PC [I] 28 Apr. 1807; ld. 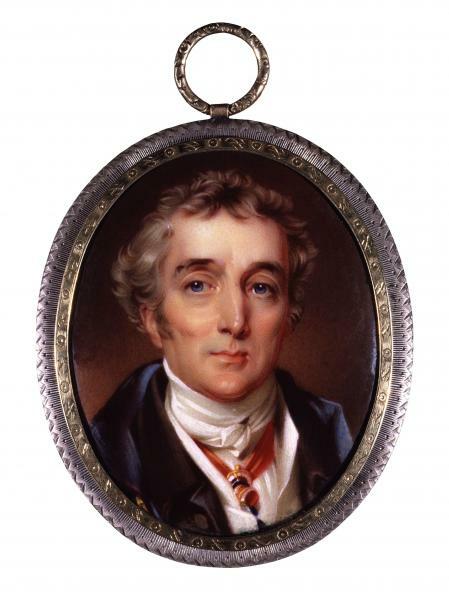 of treasury [I] May 1807-Apr. 1809; ambassador extraordinary to France Aug. 1814-Jan. 1815; first plenip. Vienna Congress Jan.-Mar. 1815; jt. plenip. to treat for peace with France June-Nov. 1815, Aix la Chapelle conference Aug.-Nov. 1818; master-gen. Ordnance Dec. 1817-Apr. 1827; plenip. Verona Congress Sept.-Nov. 1822; special ambassador to Russia, Feb.-Apr. 1826, first ld. of Treasury Jan. 1828-Nov. 1830, Nov.-Dec. 1834; sec. of state for Home affairs Nov.-Dec. 1834, for Foreign affairs Dec. 1834-Apr. 1835; cabinet minister without portfolio 1841-6. Gov. Plymouth 1819-26; ld. lt. Hants 1820-d; constable of the Tower and ld. lt. Tower Hamlets 1826-d.; ld. high constable at coronation, 1821, 1831, 1838; ld. warden, Cinque Ports Jan. 1829-d.; master, Trinity House 1837-d.; ranger, Hyde Park and St. James’s Park Aug. 1850-d. I am ready to come into Parliament in any way you will think proper; but if it could be done I should think it most creditable to be returned independently of the Treasury. But that is only a matter of preference; and it is probably more important to be in the House of Commons at an early period, than to be returned for a place in which the Treasury has no concern. He died 14 Sept. 1852. The latest biography is by Elizabeth Longford (2 vv. 1969, 1973); for its many predecessors see BL cat. Wellesley, Arthur. 1. P. Guedalla, The Duke (1931), 480 states the case against 29 Apr., which is sometimes given. 2. Staffs. RO, Hatherton diary, 26 June 1844; Barrington, Personal Sketches, i. 320-4; Camden mss C121/1, 2; 204/1; 212/1; 266/3, 5, 6; 267/1. 3. Wellington Dispatches, iii. 168; Wellington Supp. Despatches, iv. 533; Wellesley Pprs. i. 196-7. 4. Buckingham, Court and Cabinets, iv. 194; Supp. Despatches, iv. 546-86; v. pp. iii-iv; Dispatches, iii. 2; HMC Fortescue, ix. 52. 5. Harewood mss, Canning to his wife, 21 July 1806; Add. 37415, ff. 21, 38; Fremantle mss, Wellesley to Fremantle, 9 Dec. 1806; HMC Fortescue, viii. 429-30, 440, 442. 6. Add. 37415, f. 39; HMC Fortescue, ix. 128; Buckingham, iv. 194. 7. NLS mss 12918, Fremantle to Elliot, 10, 17 Nov. 1806; Wellington mss, H. to Sir A. Wellesley, 2 May, Long to same, 11 May ; Supp. Despatches, v. passim; NLS mss 3795, ff. 173-4, 177; Barrington, i. 324; Bathurst mss, Richmond to Bathurst, 31 Aug. 1807; Dispatches, ii. 616. 8. NLI, Richmond mss 58/27; Supp. Despatches, v. 447. 9. Supp. Despatches, xii. 178; Prince of Wales Corresp. vi. 2529; Croker Pprs. ed. Jennings, i. 344; Wellesley Pprs. i. 240; Ward, Lettersto ‘Ivy’, 56; Buckingham, iv. 281; Add. 51799, f. 96; Grey mss, Piggott to Grey, 20 Nov. 1808; Whitbread mss W1/373/9, 375; M. Glover. Brittania Sickens, for the Cintra controversy. 10. Wellington mss, H. to Sir A. Wellesley, 11 Jan. 1809; Supp. Despatches, v. 556; Richmond mss 60/267, 70/1352, 73/1644; Fortescue mss, Fremantle to Grenville, 21 Feb. 1809. 11. Letters of Countess Granville, i. 149; Ward, 332.